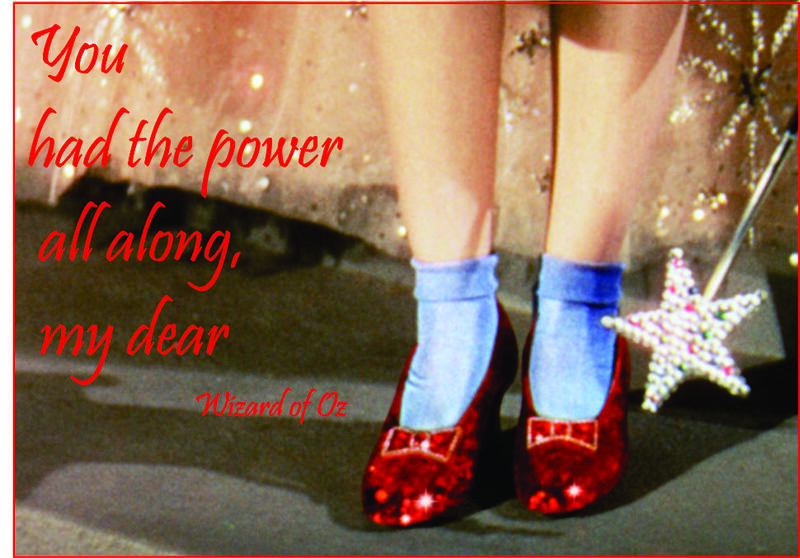 Do you remember this sentiment from the Wizard of Oz? Dorothy is frantically trying to get home when the good witch tells her that the red slippers she is wearing will do the trick. You had the power all along, Dorothy! I was recently reminded of this as I was watching the final videos from an online course purchased from Creative Live. This particular workshop is about building a successful blog. 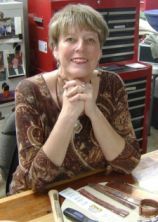 April Bowles-Olin offered 3 days and 23 sessions of great ideas and advice. As I neared the final sessions she said something that resonated with me. She told the listeners that we already had what was needed to create a successful blog! We had our own personality (that no one else can claim) We had our own perspective on life.. and we wanted to succeed! The importance of building long term relationships. How to create new opportunities. Treating my clients with fairness and integrity. And finally offering over-the-top customer service. Realizing that I can apply these same principals to my social media and jewelry designing projects feels like someone lifted a huge weight off me. I absolutely LOVE designing my jewelry and I love sharing this with others. Start thinking about the Power you possess, too. What skills have you already mastered during your lifetime? Event Planning: what about that theme or dinner party you hosted? or the school event you coordinated? Do you volunteer for an organization? Do you balance the household finances? Do you dabble in crafts? Every one of these things.. and more have provided you with skills and opportunities. So I say… Whoopee for me and you too! we are all amazing people! In the meantime, check out my newest designs and go see what classes April offers on Creative Live… and expect to hear lots more from me moving forward. « Two Days at the Jewelry Bench… in a row!